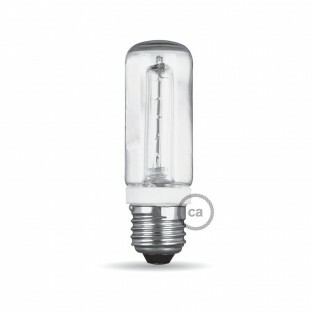 A selection of design and atmosphere: LED, halogen, energy saving and carbon filament bulbs. The most beautiful shapes: candle, Edison, globe, tubular. Choose the perfect bulbs for your home. 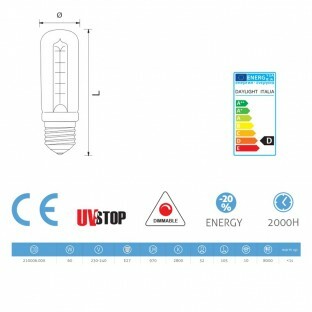 Innovative Led lamp with linear COB Led chip. Operation Temperature: -20°C~+50°C. Wide light output. 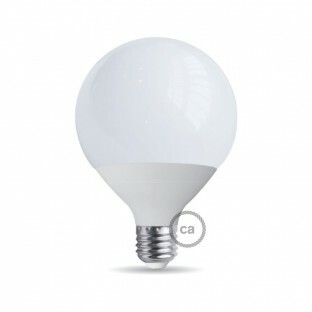 Beautiful look 100%, same as traditional incandescent lamp. Long life. Low surface temperature. IC Driver Design at constant current. High Energy Saving. Vacuum environment. Saphire support. No flicking under camera. 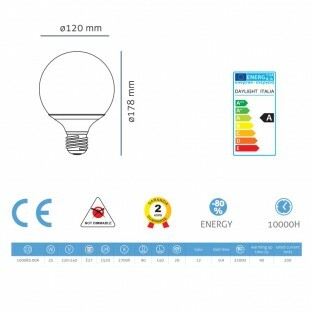 The classic milky white glass bulb with a 9,5 diameter is dimmable, so its brightness can be adjusted.ATTENTION: to properly dim an LED bulb, a specific dimmer or the latest generation of universal dimmers is required. You will find a specific section on our website with a selection of both wall and in-line models. Decorative energy-saving lamp in the shape of a Globe. Available in different diameters and powers. Large flow stability. Low mercury content.